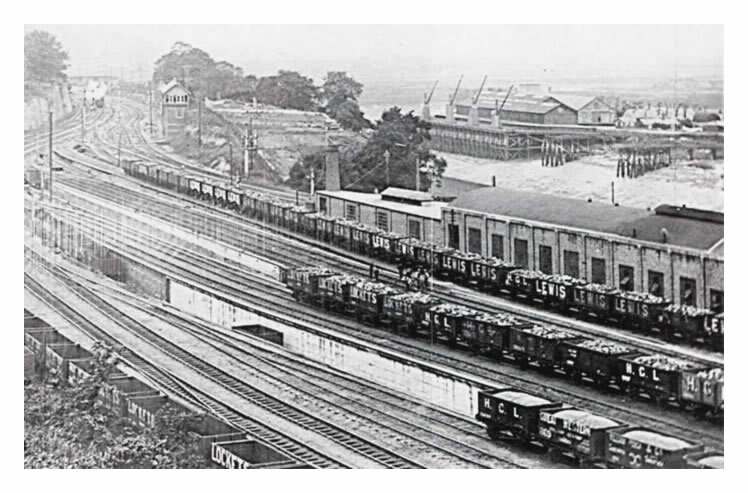 A photograph taken in July 1923 of the numerous sidings situated at the rear of the machine shops of the Penarth Pontoon and Ship Repairing Company Limited. 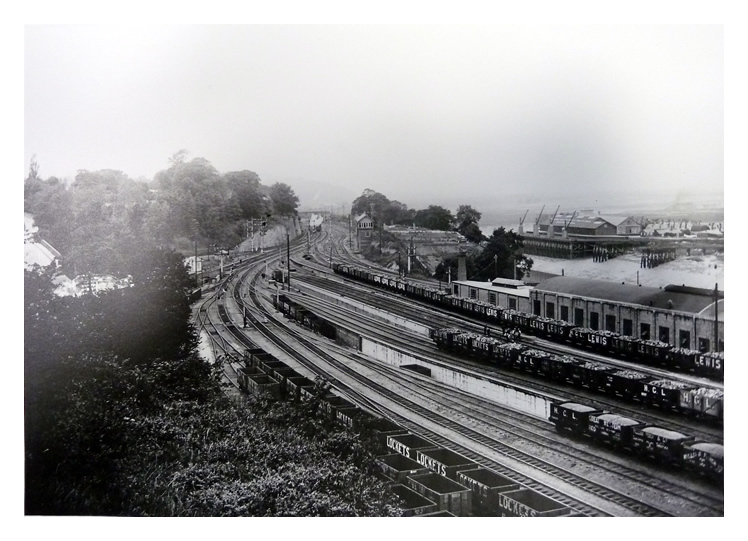 To the left, the sidings at Llandough with its 1898 TVR signal box prior to the construction of the new GWR box of 1926. In the background is the Victoria Wharf at the Ely Tidal Harbour. The warehouse and wharf was rebuilt c.1890 after being destroyed by fire on 17th September 1888. 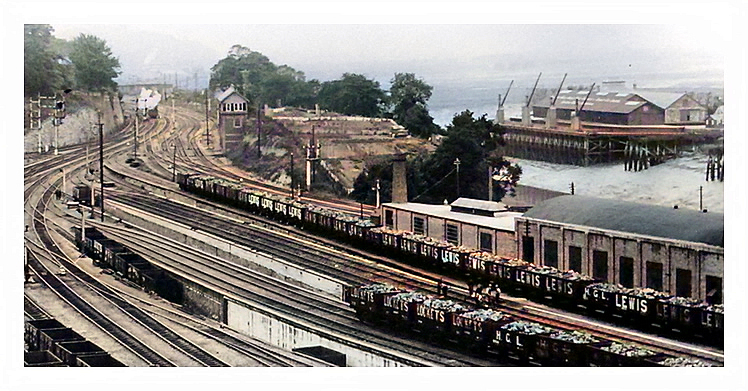 The two coal tips to the right of the wharf were removed by 1898.